A victim was put through a terrifying robbery ordeal in their own Doncaster home as thieves tied them up and assaulted them. Police have made an arrest in connection with the raid. The incident happened on November 5 at a property on Station Road, Dunscroft, and the raiders stole property from the house, police have revealed. 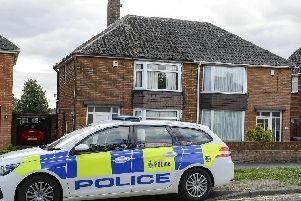 The victim was taken to hospital after the incident, and police have spoken to neighbours to give crime prevention advice and ask for information.